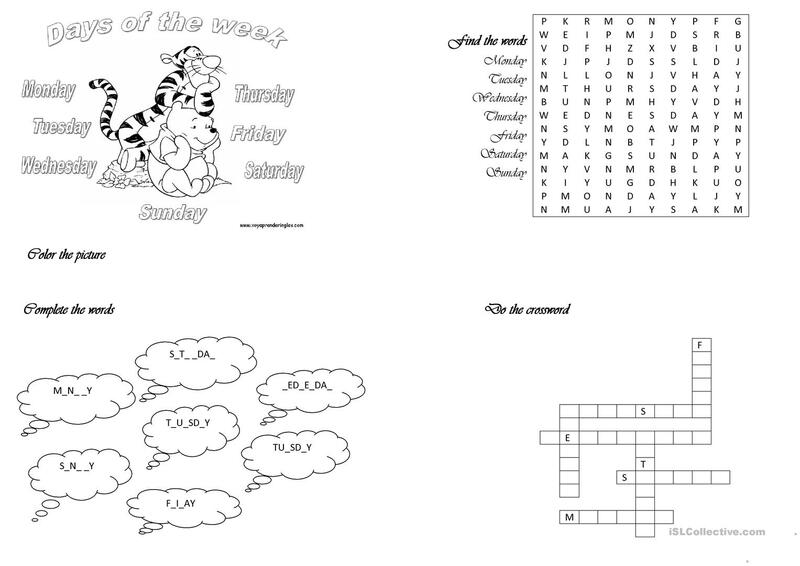 Here you have 4 activities for children to practice the days of the week. They are very easy and simple. The present downloadable teaching material was created for kindergartners and nursery school students at Beginner (pre-A1) level. It is focused on the topic and words of Days of the week.